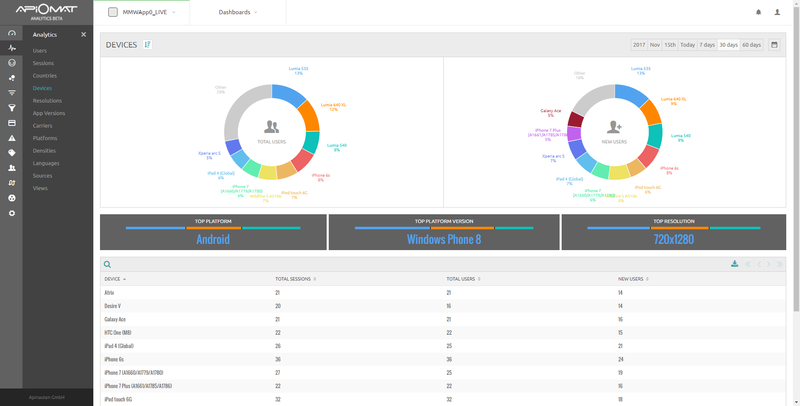 By clicking on Analytics on the side menu, we access a number of dashboards for analyzing information about users and their devices. 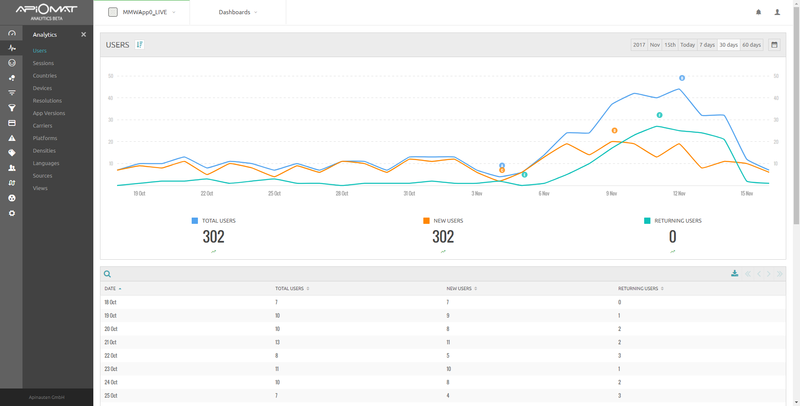 Each page under the Analytics menu provides you with search tools and allow you to set the time period with pre-configured options or with a customized time frame using the calendar. If you would like to use segmentation, you can do so by clicking the teal icon next to the pages title (Devices in the image above) to use the Drill tool. You can read more about Drilling.